If you have ever wanted a truly invisible, quick way to straighten your teeth, then lingual braces may be the answer. Lingual braces are fixed braces that are secured to the inside of your teeth, making them completely invisible. They are very similar to traditional “train-track” braces, only rather than being fixed on the visible outside of the teeth, they are hidden on the inside. Most people are not aware that this treatment is an option for them to straighten their teeth. However, lingual braces, or sometimes known as “Social 6” braces, are an increasingly popular treatment choice for patients at our clinic. The average treatment time for lingual braces to straighten the front teeth is six months. However, some cases can take as little as three months. Below is an example of a typical Lingual “Social 6” braces case. This case took under six months and the objective was to straighten the upper front four teeth. The photo shows before and after the lingual braces treatment. 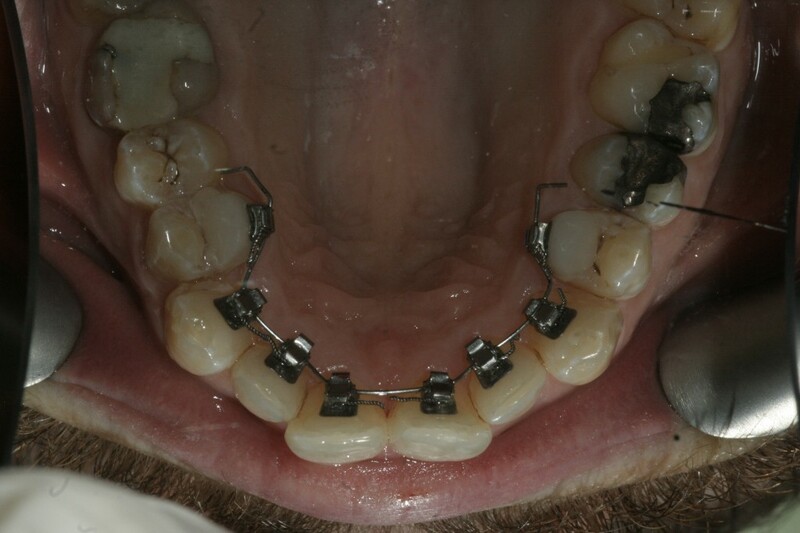 The photo below shows exactly where the braces were hidden during this treatment. They are on the inside of the teeth. For more information about this treatment, or to book a consultation to see if your are a suitable candidate, either email us at ancellsfarmdental@aol.com or call us on 01252 614818.